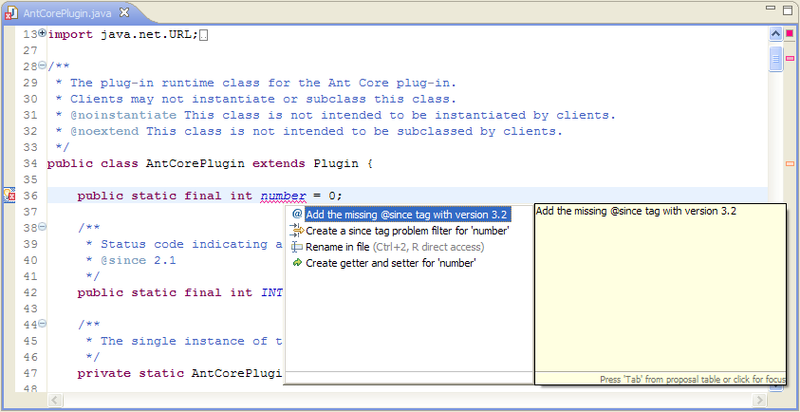 This quick fix can be used to quickly add since tags or help correct problems with existing since tags. Editing the resource the problem exists in. Select a since tag problem. Use Ctrl + 1 to trigger the quick fix from the Problems view (or use the context menu as shown above). Open the resource the API problem exists in. Use Ctrl + 1 on the corresponding problem. 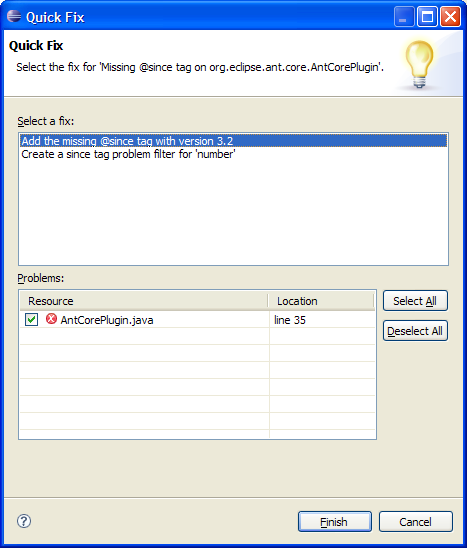 Once the since tag problem has been corrected the corresponding resource is rebuilt and the problem is removed from the Problems view and any open editors.